As we saw in part 1 and part 2, the set of instruments built by Stradivari for the Medici court did not survive intact. 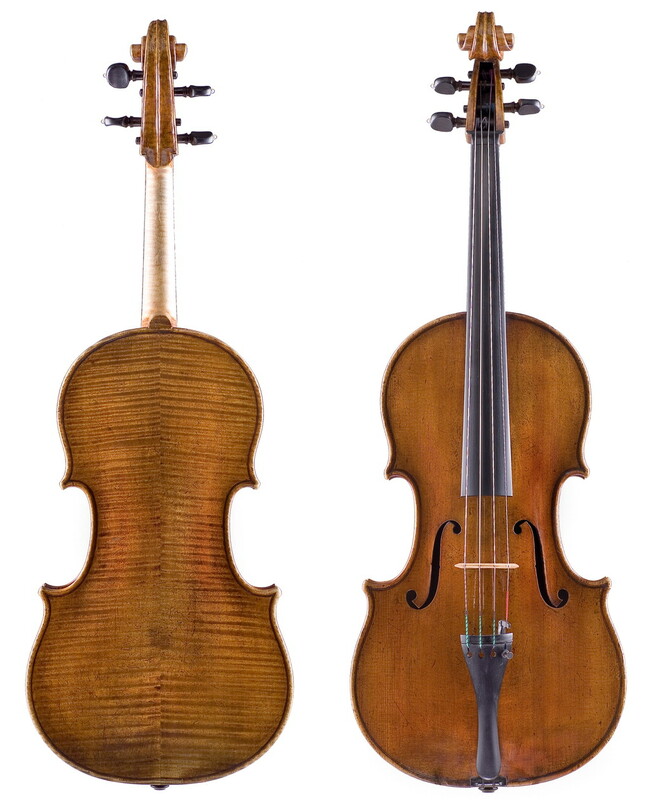 In the late 18th century, two instruments separately left Florence and have never returned: the ‘Medici, Tuscan’ violin of 1690, which is currently part of the collection of the Accademia Nazionale di Santa Cecilia in Rome, and the 1690 ‘Medici, Tuscan’ contralto viola, now preserved in the Library of Congress in Washington, D.C. The history of these instruments and how they came to leave the Medici collection will be explored in this article. This violin is one of the instruments from the original set of two violins and a cello that Bartolomeo Ariberti commissioned and then presented to the Grand Prince Ferdinando de’ Medici. These three instruments appear to have been completed not before 1690 and today only two of them are known to have survived: the ‘Medici, Tuscan’ cello and this violin. The one-piece back is marked by regular, vivid curls, slanting up towards the right. Stradivari added extra wood in the lower part of the back to supplement the width of the instrument. The ribs are of a similar wood, while the head is characterised by slightly less intense flames, accentuated by the blackened chamfer. The table is of fine-grain spruce and the f-holes are particularly beautiful and perfectly cut. The measurements of the violin are the same as those of the ‘Dolphin’ from 1714, which shows how Stradivari had already found, in this relatively early stage of his career, a pattern that would accompany him with only minor alterations throughout his golden period. The varnish is of an orange-red-brown color. The violin was restored by Jean-Baptiste Vuillaume in the first half of the 19th century, and in 1965 the Accademia di Santa Cecilia asked Simone Ferdinando Sacconi to reset the neck in its original position, at the request of the Italian violinist Pina Carmirelli. In fact the violin’s disappearance from the collection was largely due to the events that took place in Florence after the death of the last Medicean Grand Duke, Gian Gastone de’ Medici, in 1737. 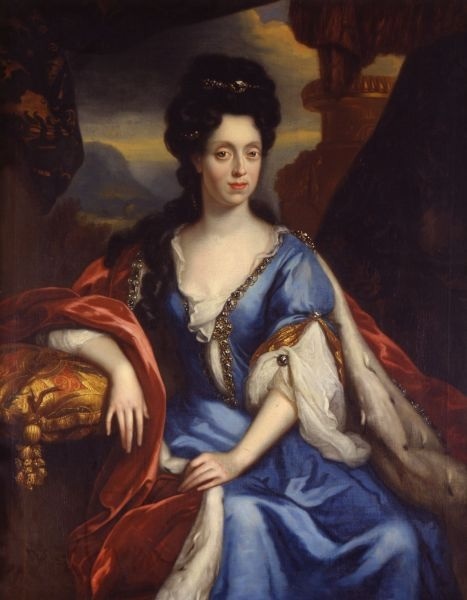 His sister Anna Maria Luisa, Electress Palatine, bequeathed the family’s art collection to the Tuscan State on the condition that every piece had to remain within the grand ducal state. But unfortunately this was not always the case. After 1737 the instruments of the Medici collection, for instance, were not handled with the same care and attention that had been granted to them in the past, resulting in some instruments leaving Florence for good. The violin was then bought by the Hills who sold it first to Eric H. Rose and then to the collector Frederick Smith of Bowdon, Cheshire, in 1908. Smith retained possession of it until he died in 1914. The instrument returned to the Hills to join the vast collection of Richard Bennett of Lancashire, UK, in 1918. Upon Bennett’s death the violin returned once again to the Hills and in 1933 it was purchased by the amateur violinist and collector George H. Kemp of Totteridge in north London, who also owned the 1714 ‘Dolphin’. 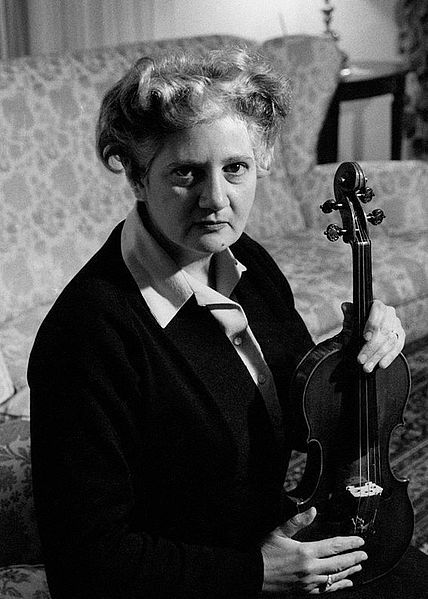 At the death of Kemp in 1940 the Hills regained possession of the violin, buying it from his widow, and retained it until 1953 when they sold it to the Accademia Nazionale di Santa Cecilia. 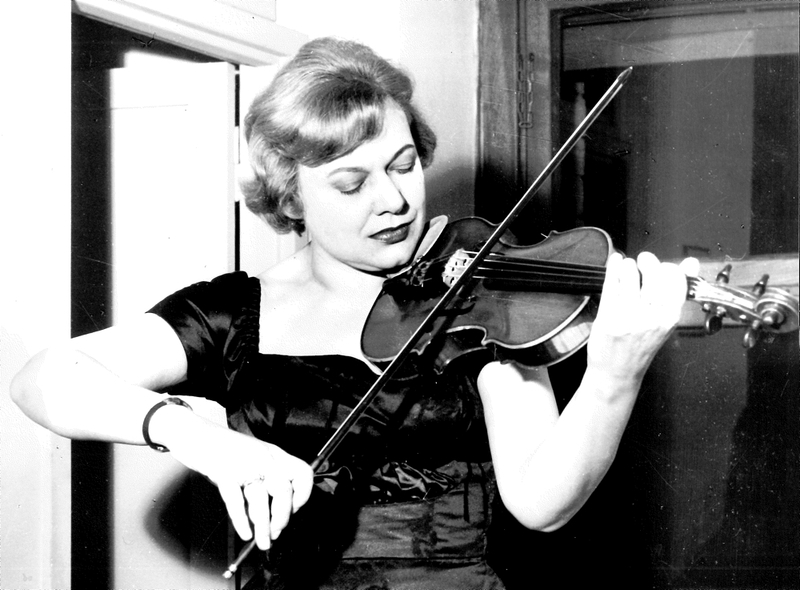 According to Henley: ‘A large sum of money was put aside by Benito Mussolini for the purchase of this instrument, in view of his great interest in the celebrated violinist Gioconda De Vito, but the violin was not actually bought until October 1953, when the President of Del Consiglio Dei Ministri authorised the National Academy of St Cecilia, Rome, to buy the violin from Messrs. W. E. Hill & Sons, London, which they did for a record sum of £12,000. The instrument was then given over to Gioconda De Vito for use during her lifetime, but the Ministri stated that if the National Academy of St Cecilia should cease to exist at any time, the instrument would revert to the Italian Government.’  Although this may be true, no evidence has been found so far to confirm this statement. Moreover, the sum paid by the Italian government to acquire the instrument was in fact £13,500. The ‘Tuscan, Medici’ was played by De Vito until the end of her career in 1962 and was subsequently lent to Pina Carmirelli, who kept it until 1977. It is now back in the collection of the Accademia Nazionale di Santa Cecilia in Rome and exhibited in their Musical Instruments Museum, which opened in February 2008. 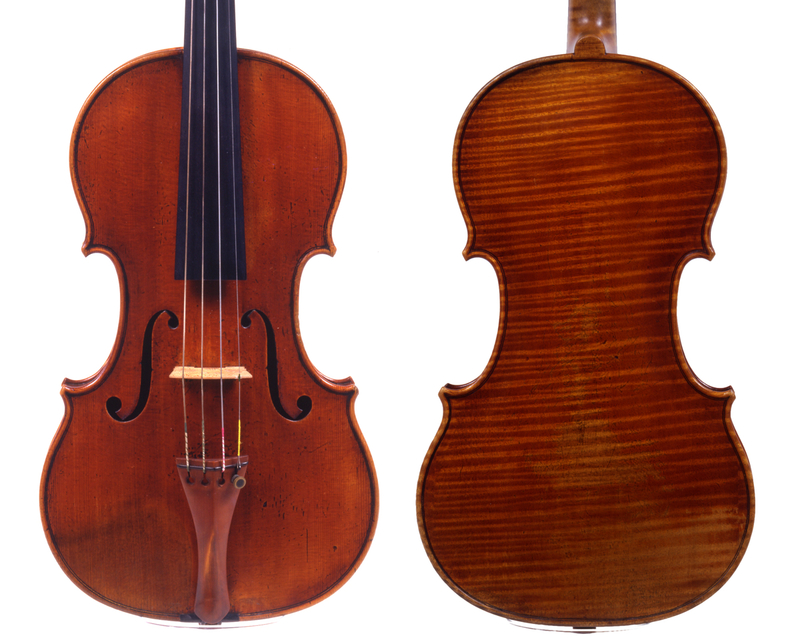 This viola appears to be one of the two commissioned from Stradivari in 1690 by Ferdinando de’ Medici, the other being the tenor owned by the Istituto Cherubini in Florence. They were intended to join a group of two violins and a cello already in Ferdinando’s possession (see part 1). The instrument has a two-piece back of maple cut on the quarter characterised by narrow curls, which run slightly downwards from the center joint towards the flanks. The sides and the head are of a similar wood. The scroll is excellently executed and follows the round style of Amati, which was replaced by a more oval form in later Stradivari instruments. The black chamfers of the head are still partially visible. The spruce of the top is finely grained at the centre, broadening towards the edges. 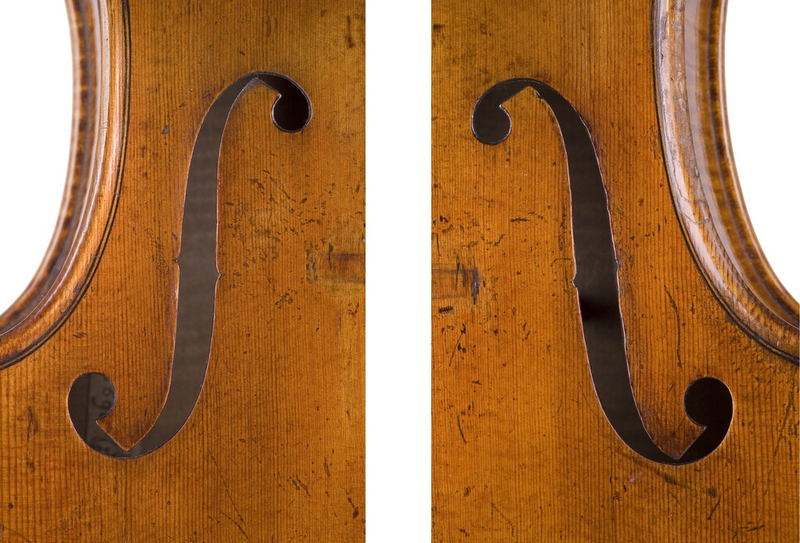 Inside on the top of the upper treble bout is the inscription: ‘The Medici Stradivari / AH June 1913’ referring to the time when Alfred Hill had the viola. The f-holes are perfectly cut although a close examination shows that they are quite different from each other. The varnish is of a light brown-orange color. This instrument bears its original label dated 1690. Afterwards it was possessed by Alexander Glennie, and subsequently by F. de Rougemont; both collectors who owned Strads that today bear their name. In 1840 Mr Avery-Tyrell, a prominent official of the Corporation of London, bought the viola from the dealers Davis, successors of Norris & Barnes, and kept possession of it until his death. At that point, the instrument, together with other two Strads – one of which was the ‘Tyrell’ of 1718 – passed to his son. On the death of the latter in 1913, the family sold all three instruments to the Hills. In 1924 the London dealers sold the viola to the American amateur chamber musician Herbert N. Straus, whose family owned Macy’s department store in New York. Later on the Hills re-purchased the viola. Charles Beare recorded that the acquisition of the viola by Straus took place via the Rudolph Wurlitzer Company of New York,  but although highly probable, the event is not mentioned by the Hills. In 1957 Cameron Baird, Chairman of the Music Department at the State University of New York, Buffalo, bought the instrument through Jacques Français. On his death in 1960 the instrument passed to his wife, Jane Baird, who transferred it to The Tuscan Corporation in December 1985. Currently the viola is on indefinite loan to the Library of Congress in Washington, D.C. These two 1690 instruments complete the original quintet made by Stradivari for the Medici court. One violin appears to have been lost and it was probably replaced with the 1716 violin that is displayed today in Florence. Nevertheless, the five instruments that have survived form one of the finest sets ever to have been made by the Cremonese master. Thanks to the patrimony of the Medicis, the world can still enjoy these more than 300-year-old masterpieces, which add to the fame of the entrepreneurial Tuscan family, of their beautiful city and of their legendary luthier Antonio Stradivari. Gand, Charles-Eugène, Stradivarius – Guarnerius del Gesù: Catalogue descriptif des instruments de Stradivarius et Guarnerius del Gesù, Les Amies de la Musique, Spa, reprint 1994, p. 72. Hill, W. E. & Sons, A short account of a Violin by Stradivari dated 1690, W. E. Hill & Sons, London, 1889. Hill, W. E. & Sons, The Tuscan, W. E. Hill & Sons, London, 1891. Hill, W. E. & Sons, 1889, Op. cit., p. 5. A.S.F. GM 1306bis, Inventario di strumenti, September 23, 1716. Billé, Isaia, Antonio Stradivari e i suoi favolosi istrumenti, Il regime Fascista, Cremona, April 14, 1937, p. 3. Letter from Luigi Ferdinando Casamorata, President of the Royal Institute of Music, to the Italian Finance Minister on January 7, 1869, reproduced in: Gai, Vinicio, Gli strumenti musicali della Corte Medicea e il Museo del Conservatorio ‘Luigi Cherubini’ di Firenze, Licosa, Florence, 1969, p. 40. Hill, W. E. & Sons, 1889, Op. cit., p. 7. Giovanni Felice Mosell was director and first violinist of the Court of Tuscany since 1774, as recorded in the inventory A.S.F. IRC 27, Affari del Dipartimento del Maggiordomo Maggiore, n. 56, August 11, 1774. Catalog of Antichi strumenti. Collezioni dei Medici e dei Lorena, Palazzo Pitti, Florence, February–December 1980, Giunti-Barbèra, Florence, p. 20. Hill, W. E. & Sons, 1889, Op. cit., p. 11. Hill, William Henry; Hill, Arthur Frederick; Hill, Alfred Ebsworth, Antonio Stradivari. His Life and Work (1644–1737), William E. Hill & Sons, London, 1902, reprint 1963, Dover, New York, p. 266. Lyon & Healy, Catalog of their Collection of Rare Old Violins: mdcccxcvi–vii, Chicago, 1896–97, p. 119. Doring, Ernest N., How Many Strads?, Bein & Fushi, Chicago, 1945, reprint 1999, p. 71.
 Henley, William, Antonio Stradivari, master luthier, Amati Publishing Ltd, Brighton, Sussex, 1961, p. 26.
 Henley, W., Op. cit., p. 26. Beare, Charles, Capolavori di Antonio Stradivari, Arnoldo Mondadori Editore, Milan, 1987, p. 44. Balfoort, Dirk J., Antonius Stradivarius, Continental Book Company A. B., Stockholm, 1945, p. 21. Dissmore, George A., The Violin Gallery, Des Moines, Iowa, 1890, p. 53 and p. 74. Jalovec, Karel, Italian Violin-Makers, Orbis, Praha, 1952, p. 471. De Piccolellis, Giovanni, Liutai antichi e modern, Successori le Monnier, Florence, 1885, p. 82. De Piccolellis, G., Esame della Viola e del Violoncello Mediceo, Atti dell’Accademia del R. Istituto musicale di Firenze. Dell’autenticità e del pregio di taluni strumenti ad arco, Galletti e Cocci, Florence, 1889, p. 30. Hill, W. H.; Hill, A. F.; Hill, A. E., Op. cit., p. 97 and p. 267.
 Henley, W., Op. cit., p. 89. Doring, E. N., Op. cit., pp. 69–70. Hill, W. E. & Sons, Letter accompanying the Certificate of Warranty, London, February 2, 1957. Hill, W. E. & Sons, Letter accompanying Certificate of Warranty, Op. cit. Hill, W. H.; Hill, A. F.; Hill, A. E., Op. cit., p. 267. Beare, C., Op. cit., p. 46. Wurlitzer Collection of Rare Violins, Violas & Bows, Rudolph Wurlitzer Co., New York, 1925, ill. XIII. Doring, Ernest N., How Many Strads? – Part Four, Violins, Vol. 1, No. 4, July 1938, Evanston, p. 136. Doring, E. N., Chicago, Op. cit., p. 69. Jalovec, K., Op. cit., p. 472. Goodkind, Herbert K., Violin Iconography of Antonio Stradivari, Larchmont, New York, 1972, p. 225.